Ninbukan was founded by Cristian Ozon (martial name “Karyu”) in 1995 as Honbu Dojo (Headquarters) of Karyukai International (Kokusai Karyukai). The purpose of organization is to allow students from all over the world to study traditional martial arts without the so call “secrecy”, like most of the oriental martial arts masters like to do and to teach to everybody without hiding the “small details”, under the slogan “No More Secrets!”. 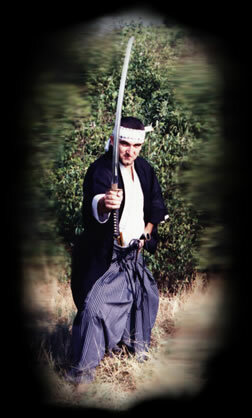 Karyukai International – Ninbukan Honbu Dojo offers instructions mainly in Iaikenpo (Samurai sword arts - Iaido-Iaijutsu / Kendo-Kenjutsu) and Shinobi Bujutsu (Ninja martial arts – Ninpo / Ninjutsu) like Taijutsu (unarmed fighting skills), Bo, Jo, Hanbojutsu (stick and staff arts), Bikenjutsu (Ninja sword skills), Yari (spear), Naginata (halebard), Kusari Gama (sickle and chain), Jutte (truncheon), Kusari Fundo (weighted chain), Tantojutsu (knife), and more. Karyukai International – Ninbukan Honbu Dojo has training halls located across Europe, as well as in United Stated. Shihan Ozon Karyu sensei has spent the last 19 years teaching and helping to develop both Iaikenpo and Shinobi Bujutsu in Europe in countries like Italy, Greece, Ukrayne, Spain, Romania, France and Belgium. Official instructors are certified by the Honbu to teach and fellowship instructors represent as well as the official ones, good ambassadors of our ability to maintain quality in the instructions we offer to our students.